This statement applies to the National Allergy Strategy website. The website is managed by Impagination. When you visit the National Allergy Strategy website, we will not collect personally identifiable information about you, unless such information is provided voluntarily by you. The personally identifiable information collected by National Allergy Strategy website is strictly confidential and National Allergy Strategy website will not reveal, disclose, sell, distribute, share or otherwise pass on to any third parties any personal information that you may have provided unless permitted by law or National Allergy Strategy website has your express written consent to do so. This website contains links to third party websites. These linked websites are not under the control of National Allergy Strategy website and National Allergy Strategy website is not responsible for the contents of any linked websites or any hyperlink contained in any linked websites. 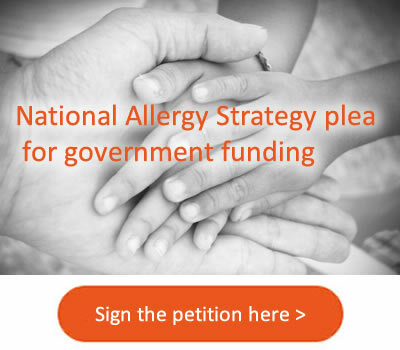 National Allergy Strategy website provides these links as a convenience only and the inclusion of any link does not imply any endorsement of the linked website by National Allergy Strategy. You link to any linked websites entirely at your own risk. National Allergy Strategy website does not represent or warrant that any files obtained from or through this website are free from computer viruses or other defects. Any such files are provided and may be used on the basis that the user accepts all responsibility for any loss, damage or other consequence resulting directly or indirectly from the use of those files.